This is how Ferguson police officer Darren Wilson justified shooting black teenager Michael Brown. Reading this particular piece of evidence from the vast dump of Grand Jury documents released last night, it'd be impossible not to sympathize with Wilson. A lone 'small' policeman in a patrol car confronted by a gigantic Hulk. There's just one problem. 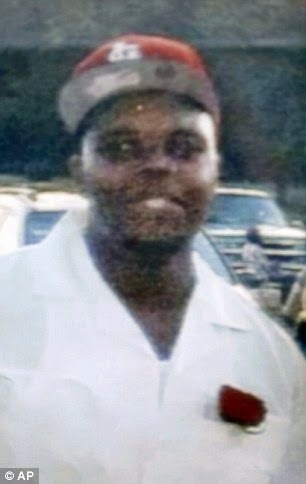 Wilson, by his own admission in his police interview, is 6ft 4in tall, the exact same height as Michael Brown. He also weighs 210lbs, which may be 80lbs lighter than Brown, but still makes him a pretty hefty unit. Put it this way, I've never seen or heard of any 6ft 4in, 210lb five-year-old boys, have you? Wilson paints a very detailed and vivid picture of the savage beating he took from Brown. Then, allegedly, came a second punch. Imagine being hit by two full swing punches at close quarters by a 6ft 4in guy weighing nearly 300lbs? You would think the damage would be pretty severe, right? 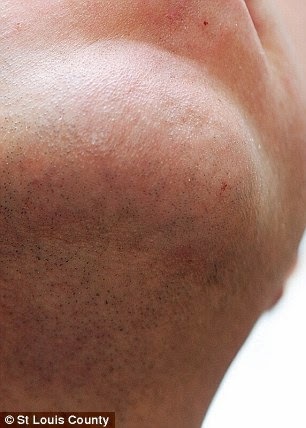 Yet the photographs released last night of Wilson's injuries show what appears to be a very minor bruise on his cheek, a tiny shaving-style cut on his chin, and a bit of reddening around the back of his neck. Evidence presented to the Grand Jury says Wilson didn't feel the need to go to hospital, but agreed to after a conversation with his attorney. Hospital staff found no significant injury at all. Fatal? Really? After two blows that didn't require medical treatment? Dig further into the weeds of Wilson’s account and you learn that Brown was supposedly carrying a bunch of cigarillos in his right hand when he delivered the first punch, then switched them to his left hand and passed them to his friend before delivering the second punch. Yet despite all this apparently intense struggle going on inside the car, there was not a single trace of cigarillo found anywhere in the vehicle. Wilson then claims that after the two punches, Brown made a lunge for his gun. You're the one with the gun, you're the one who ends up doing all the shooting, yet you 'envision' a bullet going into your own leg? Sounds a very convenient thing to 'envision' when you're trying to justify shooting an unarmed teenager, no? Wilson says he fired the gun twice but it 'just clicked'. The third time, it fired a bullet at Brown, hitting him and shattering the car window. Well yes, Officer Wilson, you had just shot him. Most people would be pretty p***ed off at that point. Wilson fires a second bullet at Brown, who then runs off wounded. Wilson then fires more bullets, hitting Brown again. 'At this point, it looked like he was almost bulking up to run through the shots, like it was making him mad that I'm shooting at him,' he said. Crazy – eh? An unarmed teenager getting mad that an armed cop is repeatedly shooting him. Wilson keeps shooting – he fires 12 bullets in total, hitting Brown six times. The young man dies at the scene. * The disgraceful fact that he was left lying dead on the street for four hours. * The ludicrously soft-ball Grand Jury prosecution of Officer Wilson, who wasn't even cross-examined about the many inconsistencies in his story. * The ridiculous decision to delay announcing the Grand Jury decision for eight hours yesterday, until it was late, dark and cable news had whipped everyone up into a frenzy of anticipation about potential trouble. * The disgusting looting and violence that erupted once the decision was finally announced, shaming the memory of Michael Brown. But my real contempt is reserved for the legal system in America that allowed this to happen. Darren Wilson's explanation for why he killed Michael Brown was eerily reminiscent of George Zimmerman's account of why he shot and killed another unarmed teenager, Trayvon Martin. 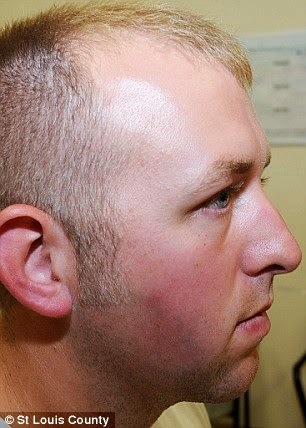 Like Wilson, Zimmerman claimed he was being savagely beaten, and that his assailant was trying to grab his gun. And in both cases, under Florida and Missouri state law - with which they were very familiar - that assertion was enough to justify them shooting dead a young black teen. 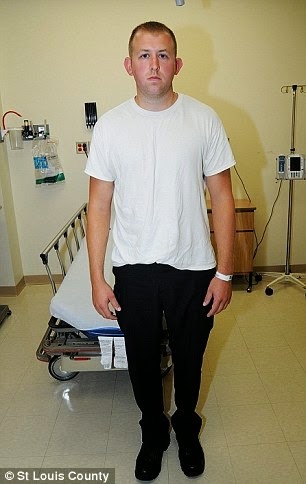 I don't believe Darren Wilson's version of events, just as I didn't believe George Zimmerman's. I think they're a pair of trigger-happy wannabee John Waynes who felt empowered by their guns to mete out deadly justice to a couple of black teenagers who should never have been killed. They did so knowing the law would shield them, not their victims. It's not so much 'the system' that failed Michael Brown, or Trayvon Martin.